Welcome to James Nisbet Nursery School located at 70 Doubleday Drive. Our program is sponsored by the Maples Recreation Association (Maples Community Centre), who generously allow us the use of the James Nisbet Community Centre facility. The operation of our nursery program is overseen by the Board of Directors of Maples Community Centre and our own volunteer parent board. 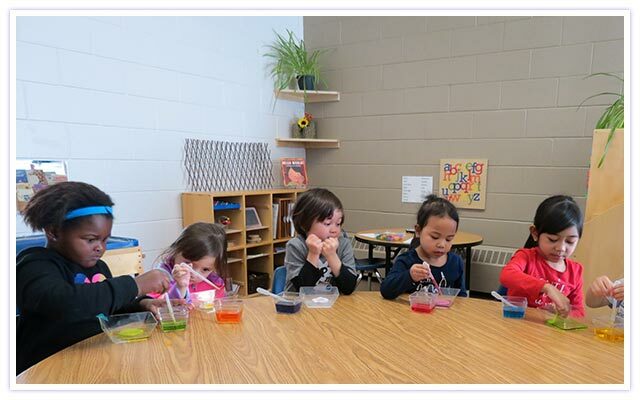 We are licensed and inspected annually by the Child Daycare Department of the Manitoba Government. In compliance with licensing regulations, our class size is limited to 30 students, for which there must be 3 qualified Early Childhood Educators on site during class hours.